Chicago is a popular family vacation destination, and our TravelingMoms have the scoop on the best kid-friendly Chicago restaurants and the must-see museums. From Eataly to the Field Museum, here is your guide to eating and learning in the Windy City. Chicago,Illinois, a popular family vacation destination, has so many places to eat and museums to visit, it’s challenging to narrow down the choices and determine which are the most kid-friendly. But our TravelingMoms have been there! In this “Ask a TMOM” post, we uncover the best, kid-friendly Chicago restaurants and the must-see museums. Kirsten Maxwell, Teaching TravelingMom, recommends Chinatown for Asian food in Chicago. “Try Joy Yee Noodles or Three Happiness,” says Kirsten. With her three hungry boys – one who will eat anything, one who is a picky eater, and one with a food allergy – she has compiled this excellent list of kid-approved Chicago restaurants that she recommends to anyone visiting. Superdawg is another kid-friendly Chicago restaurant our TravelingMoms suggest. “You’ll easily spot this retro, drive-in restaurant because it has two huge hot dog statues on the roof,” says Jamie Bartosch, Suburban TravelingMom. “I think it’s one of the best hot dogs in Chicago.” She also recommends the American Girl Cafe if your daughter is an American Girl fan. “Doll chairs and doll “meals” are part of the experience,” says Jamie. And how about brunch? Must we trade brunch and Bloody Mary’s for barely edible pancakes and sippy cups once we have kids? Hardly, says Megy. Read her in-depth report on kid-friendly brunches you should not miss in Chicago! Megy also recommends visiting the DuSable Museum in Chicago, the oldest, independent African-American history museum in the country, with both permanent and rotating exhibits. While MSI is one of Megy’s favorite Chicago museums, a close second is the Field Museum. Kirsten agrees – check out her post on everything you need to know about the Field Museum. Kirsten loves the Chicago History Museum and she has a super list of best Chicago attractions for families. 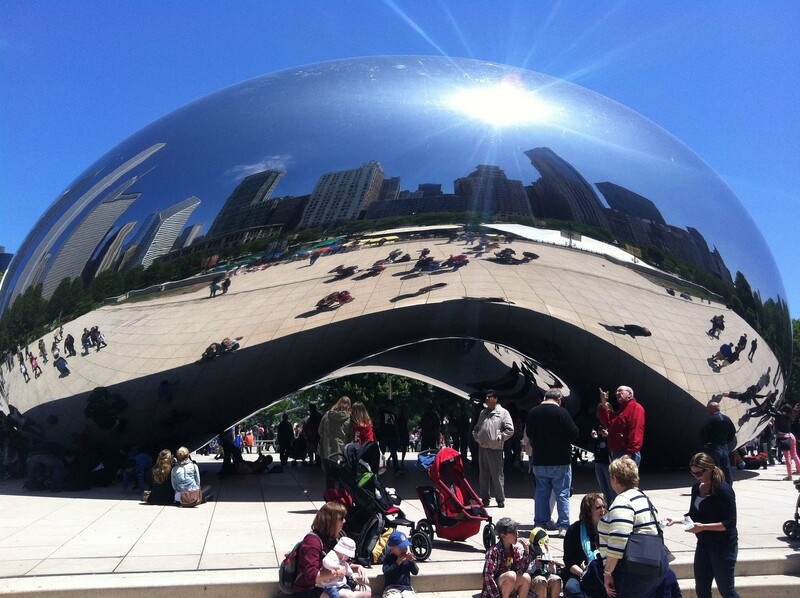 TravelingMoms also recommend the Adler Planetarium, the National Museum of Mexican Art, and the Art Institute. Chicago museums can be pricey, so be on the lookout for special discount weeks. There’s so much to do for families in Chicago! I hope our TravelingMoms have helped narrow down the choices for Chicago restaurants and museums.